Studying medicine at the Medical University Białystok in Poland will last 6 years and – already from the first year of studies – you will gather clinical experience. During your studies at the Medical University Białystok, you will get a theoretical and practical insight of all disciplines of medicine, so that you will be able to build up a broad knowledge in all fields during your academic years, which can be extend more and more. In doing so, you have to take certain predetermined courses that you have to take, but can also take some courses that you can choose by yourself, in order to deepen your own interests in certain fields. The Medical University Białystok is located directly in the center of Białystok, a city with almost 300,000 inhabitants, so that everything you need is within walking distance. Of course there is also public transportation available. The Białystok and the medical school are located in the “Branicki Palace”, an impressive baroque building, which is also a very famous sight of the city. 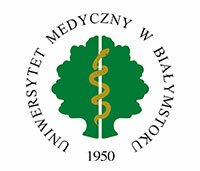 In order to be admitted study course of medicine at the Medical University Białystok, you have to pass an internal application procedure, which includes an aptitude interview. For further information about the admission procedure, click here. The degree is recognized in the USA, the EU, the European Economic Area and other countries. For more information click here.